Road Trip to Upstate New York! Blue lights flashed behind us as we drove through the small town of Malone, New York, about 11:30 p.m. and just 40 miles from our destination, St. Lawrence University. Our right rear tail light was out according to the chatty young policeman who pulled us over. Less than 5 minutes later, blue lights flashed again, and another friendly policeman, this one from the state, told us the same thing. It wasn’t until after midnight that we pulled into the town of Canton, after 7 hours and over 370 miles in the car. 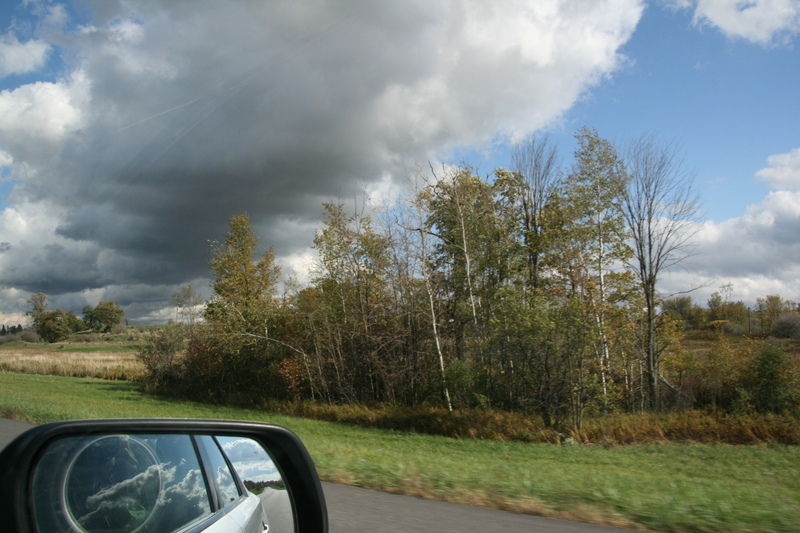 After replacing the tail light, we drove over to my husband’s alma matter where the trees were turning, the rain intermittent, the buildings old but majestic. We saw the “treehouse” study areas at the library, bought shirts at the bookstore, and ate lunch in one of the dining halls, with meal passes from the admissions office: pasta, pizza, a turkey sandwich (on gluten-free bread), salad bar, and frozen yogurt. 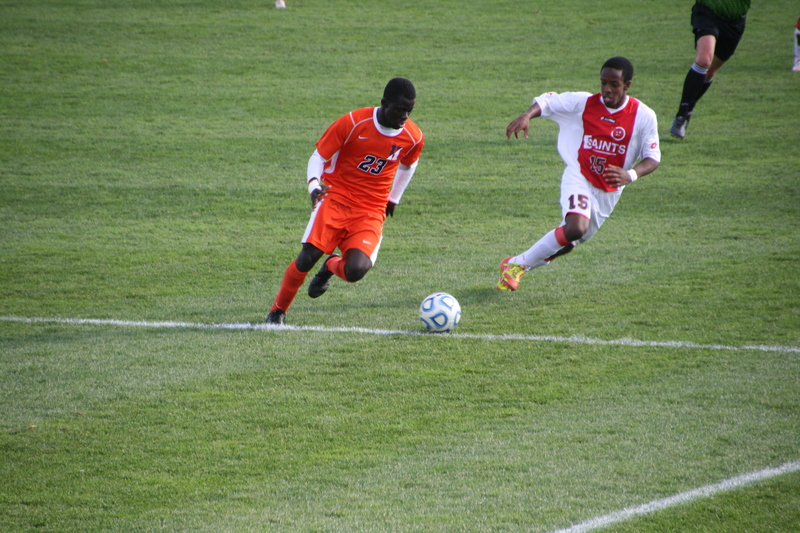 As we drove around campus, we stumbled upon a soccer game and stopped to watch SLU beat Hobart in the game’s second half (3-0). 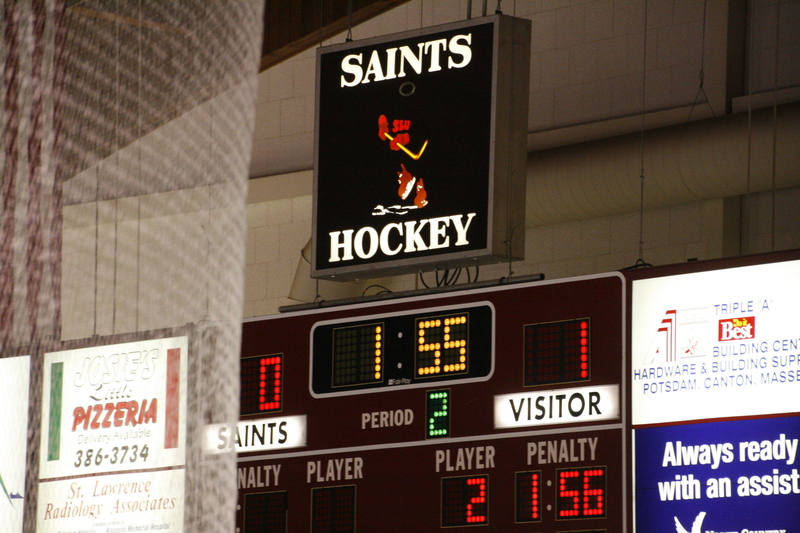 After gluten-free Mexican at the Hot Tamale in downtown Canton, we joined the crowds at Appleton Arena to watch the Saints’ ice hockey team beat Carleton University in overtime (3-2). 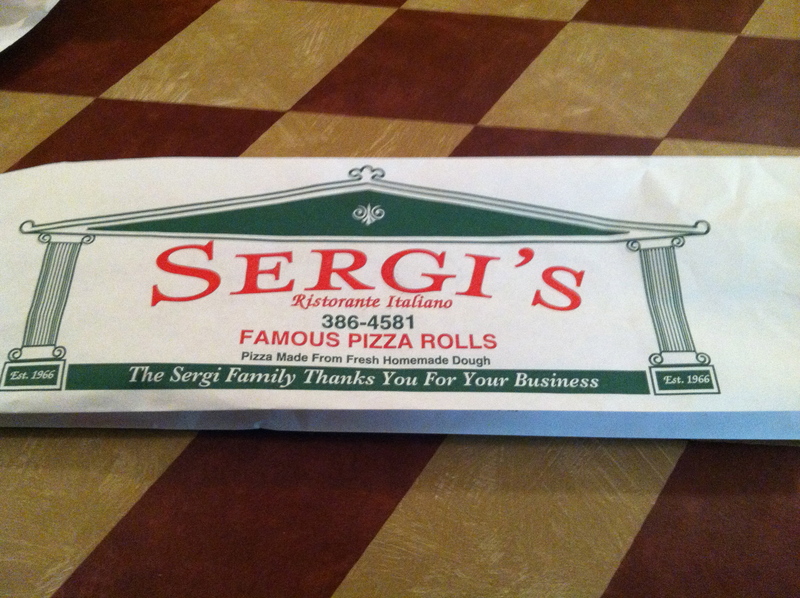 A pizza roll at Sergi’s was the late night snack for the boys. According to its website, SLU was founded in 1856 and is a liberal arts college offering over 60 majors to its 2300 undergraduates. Seventy percent of the students participate in volunteer or community service while enrolled at SLU, and 50 percent of the students choose to study off campus, whether in the Adirondacks or abroad. 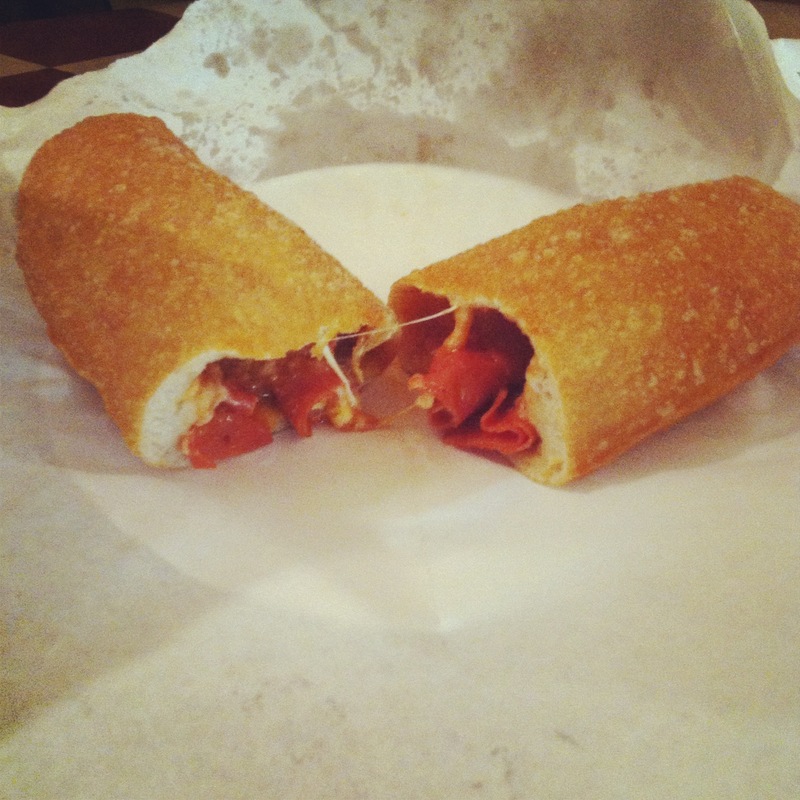 Pizza roll photos by Tommy Taft. 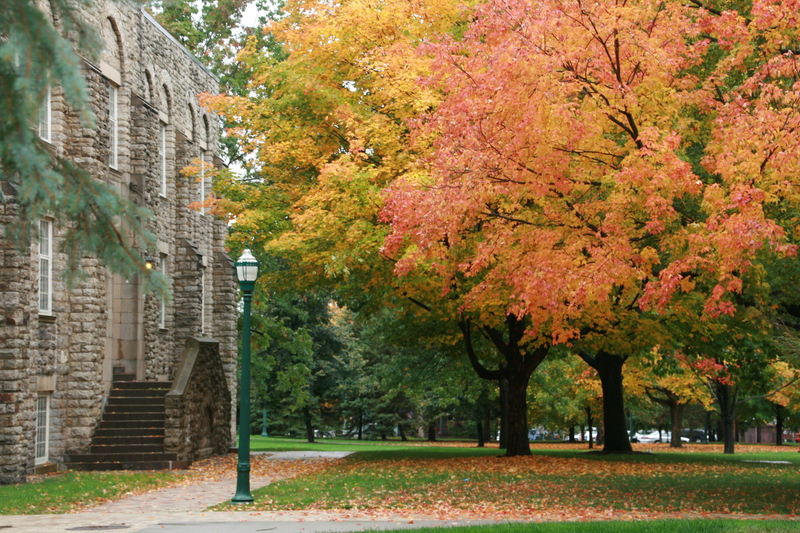 Colleges, Gluten Free, New York State, U.S. Boy you and your gang sure get around!!!!!! I’m jealous !!!!! We like to travel, and the kids have caught the travel bug! 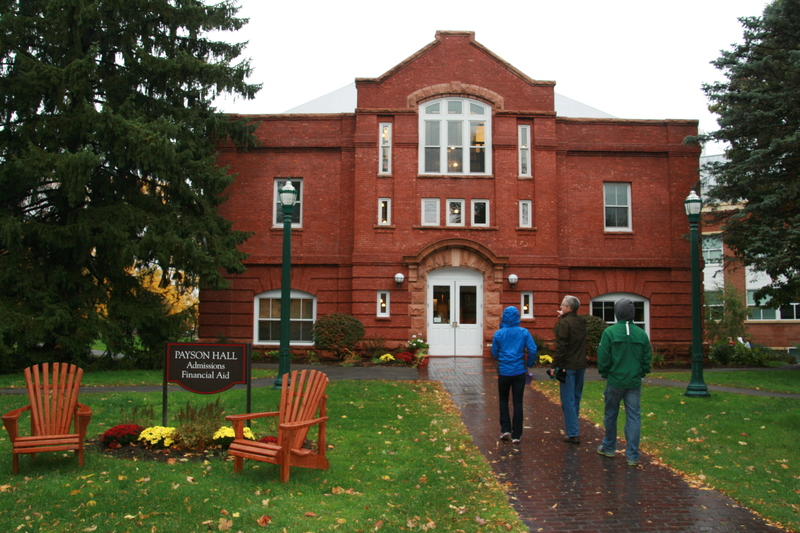 Sounds like you are on a “college tour.” Great photos and descriptions. I’m enjoying your blog. Thanks, Lisa. 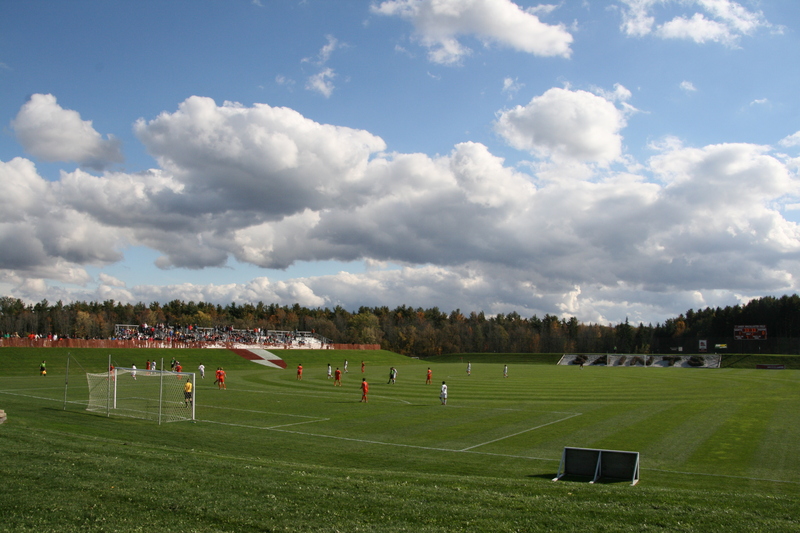 Yes, we’ve begun looking at colleges. We’re planning another trip soon. Stay tuned.